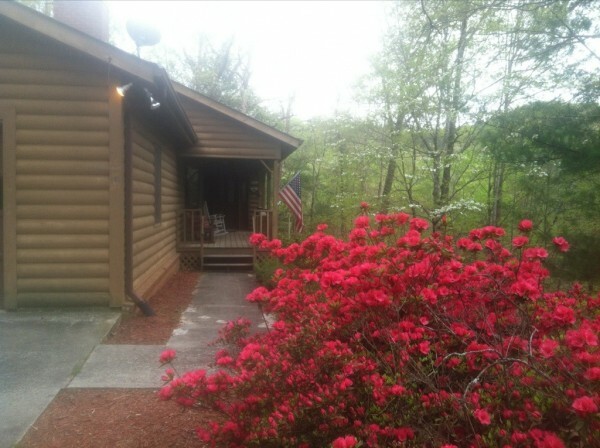 Our Cabin on Long Mountain celebrates spring. The azaleas bloom here just after the Masters in early April. The bushes by the Owner’s Lodge and the new planting we just installed at the Main Lodge are “ever-bloom” varieties that even produce some in winter.